There are people that seem as if they'll live forever, so woven into the fabric of life that their passing comes as an enormous shock. Bill Kyle was one such person. I, like the rest of the Scottish Jazz community, was stunned to hear the news that Bill passed away suddenly on October 30th. 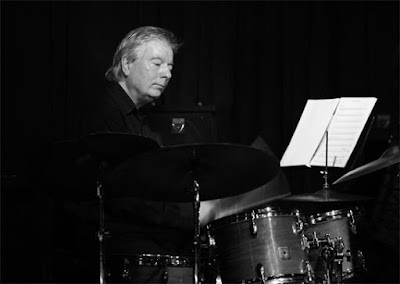 Even now, it seems unthinkable that Scottish Jazz has lost such a central figure. Like almost every other Scottish jazz musician of my generation, Bill gave me my first gig. The Jazz Bar opened just as I was seriously getting into Jazz. I don't even remember being introduced to Bill; the first interaction I recall was him offering me a gig. He sat me down one evening in the bar, explaining the jazz scene - telling me who to seek out, how to get gigs at other venues. He'd give us a gig before we were ready, offer us the opportunity to learn on the bandstand. If a tune was called at a jam session I didn't know, he'd smile that wry, Fifer smile and say "well, better go and learn it for next time." He didn't admonish, he didn't judge, he just encouraged. Bill was proud to say that The Jazz Bar only ever closed its doors on Christmas Day and as a result, the club was a beating heart, a constant for the scene. In recent years, Bill hosted my sextet LOCUS - both during the Jazz Festival and through his funded Bridge Music programme. After our Jazz Bar gigs, he'd bring over a bottle of wine and we'd chat. In fact, after our Glasgow gig he drove us back to Edinburgh and we spent the journey talking about jazz, about gigs he'd seen and played, about albums we liked. I saw so many extraordinary gigs at the Jazz Bar thanks to Bill. Jerry Bergonzi, Billy Hart, countless gigs during the Festival (where he'd put on an ASTONISHING number of gigs and opened the bar until 5am every day each August). Every Monday, I'd play with the Jazz Bar Big Band and was able to cut my teeth playing in a real blow band having just left school. During the audition process for music college, Bill would ask about how it was going, offer advice and support and celebrating when I got a place. Reading the comments and posts about Bill since the 30th, you'll see that I was by no means unique - he gave unwavering support to hundreds of musicians over decades. He was an enormous part of the jazz scene. What I mean to say is - Thank you, Bill. You were one of a kind and you will be dearly, dearly missed. Great sadness at the loss of Bill Kyle. I have many fond memories of our days and nights gigging around Scotland in the 1960s, and a raucous week residency at a night club in Spain. I'll share one occasion. A booked evening gig at Aviemore ski centre turned into 3 days and nights of gigging to entertain everyone there, because all the roads out of Aviemore were blocked by heavy snow. It was New Year, the bars were drunk dry, and people needed to be entertained. Fortunately we (Hamish McGregor's band) shared the load with Chris Barber's band, and an Irish Showband, one of whose members said to Bill "you fellers are the heads; we're just a bunch of fakers"!